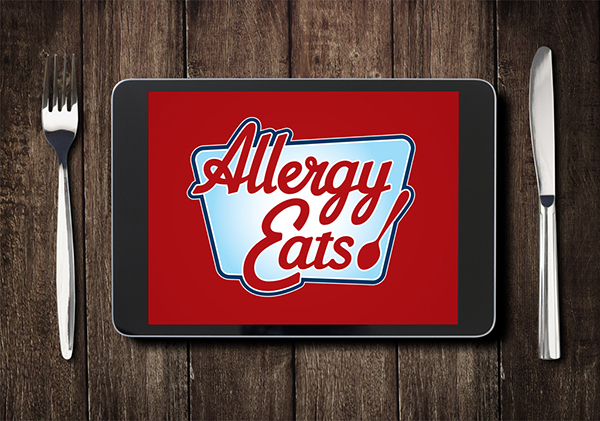 How would you define an allergy-friendly restaurant? In that post, I asked if you would take a few minutes to answer the question, “How would you define an allergy-friendly restaurant?”, in order to help me advocate as strongly as possible in discussions this week that will lead to real, forthcoming food allergy legislation. Many of you posted comments on this blog and even more sent direct emails to me at contact@allergyeats.com. I want to thank those who took the time to do so – we’re off to a great start! I’d like to make one more appeal for participation. Optimally, I’d have another 20-50 additional comments to present. This is a golden opportunity that I don’t want to slip by! So if you haven’t shared your thoughts yet, please consider doing so now (I need answers by Wednesday, but it’s human nature to forget). And if you have already sent me (or posted) your response, please consider asking at least one other person to help us out. Again, this is so easy. Just two steps. Email it to contact@allergyeats.com (or you can add it to the thread here, if necessary). We struggle all the time, as a community, to gain recognition and acceptance for food allergy awareness and to exact positive change. This is our chance! This is our moment! The change we impact here – to a legislative body already working to help us – will set a template for states and municipalities around the country for years to come! As an aside, please don’t forget to visit our core AllergyEats site at www.allergyeats.com and rate any restaurant experiences you’ve had recently. Our community is making fantastic progress helping each other there too!… but we still have a long way to go. With even just one additional rating, you help increase the value of AllergyEats for all of us. My wish would be that ANY eating establishment, particularly eat-in spots, have a standardized method of allergy alert. Typically, tables have condiments, often in a holder that also has the day’s specials in a clip – why not make that a literal RED FLAG for allergies at a table? While we don’t forget who has what allergies in our family, I simply don’t remember all the allergies in our group. A RED FLAG would alert the server to an issue. Also, it used to be SO routine to walk in and be asked, smoking or non-smoking. Why not ask if the customer needs allergy-free seating? If they could do smoking and nonsmoking, why not allergy-free seating??? I would hope wait staff specifically trained or with that special interest would routinely wait on that area, tho that’s an expensive hope. 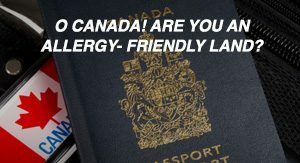 Being seated in an allergy-free zone would be awesome! Next, I’d be ever so hopeful any/all restaurants could keep a griddle allergy-free. That’s a tough one but not impossible. No seafood, peanut products or soy on a particular cooking surface – doesn’t have to be a huge griddle surface, either; separate pans work out quite well. Lots of EASY options that someone higher up finds impossible to bend to. Why? God forbid they should ever learn the hard way they have an allergy or just how allergic being allergic becomes over time! My definition of an allergy friendly restaurant is Noodles. They have a list of everything that is in their products, prepare dishes to order, and use separate pans and spoons to prepare food. I’m gluten-sensitive and this is one of the FEW places I can eat at safely. I also am sensitive to eggs, dairy, beef, etc. etc. THis makes eating out at most places impossible. 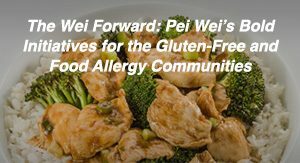 Who would have thought… a place that primarily serves gluten laden foods would do so well with making foods for people like me who are celiac and allergic to just about everything! 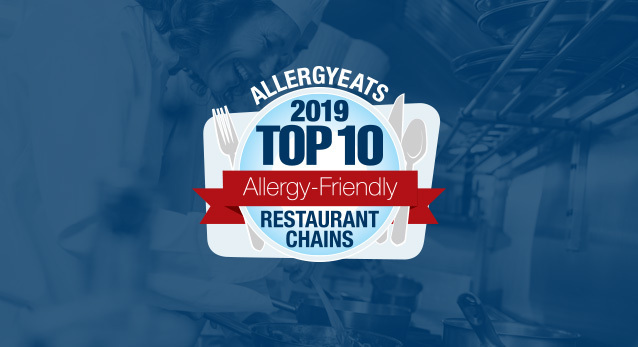 An allergy-friendly restaurant is one in which the employees are aware of food allergies & the consequences if precautions are not taken and the employees and/or management are willing & able to read labels & discuss with patrons food preparation techniques until they can together come up with a custom allergy-friendly dish. Accurate information and courtesy are all I think is fair to demand of a restaurant. I don’t think it’s realistic to ask that all of their waitstaff be trained. I’d rather they just grab a manager and/or chef at the first mention of food allergies. Even if they can’t accomodate us, as long as I can get accurate information about what is in a dish and be treated kindly, I can respect that even if I have to walk away. From there the next step is chefs who can adapt menu items and prepare them safely. I feel most comfortable when the restaurant staff are attentive to your needs and are educated about the risks of cross contamination, ingredients and allergens that are in every item on the menu and their willingness to prepare something as a “special order” for my child. 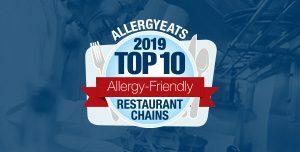 Some restaurants have a website that lists the allergens of their menu items and you can look up ahead of time to know what the options are and then when it is time to discuss choices with the server you don’t have to go through everything. I really like when the chef or manager comes out and talks about what they can do to make the dining experience safe, relaxing and enjoyable. A little gluten or a little penut butter for someone who is intollerant or allergic to is not acceptable and “allergy friendly” is ,suddenly,not enough. It would be better if restaurants will be certified. Legislations may look at other contries as examples. Certified restaurants are found all over Europe and are certified by the health department. Thereis no guessing weather we will become sick or not. There is a small extra fee but is worth it!!! I am celiac and I’ve developed an allergy to gluten as well. Gluten free certified restaurants were a blessed welcome while traveling in Europe. I just came across your site, and it is such an invaluable resource! Often I start with nutrition when treating my patients, and eliminating allergenic foods is the first place to start. It is very difficult for people to give up their favorite foods even though it is causing digestive problems, or eczema…and learning a new way to cook for themselves on top of the stress of their daily lives often leads to returning to these comforting, yet offending foods. Knowing where to go out to eat can really smooth out this transition and offer a break from having to fastidiously think about the ingredients. Thank you! I have blogged about your site, encouraging people to add their reviews to help build out your site. I am allergic to beef, pork, lamb and deer. 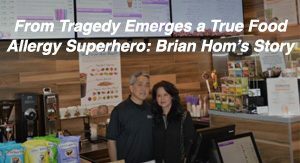 I’ve gotten the wrong food before and when I confronted the owner I was told it was my fault! I should have known what I was eating! When you trust someone to give you what you specifically ordered and it’s not then why is it my fault? My husband and I just had dinner at Abbott’s Grill, Milford DE. I had Seafood Marsala, easy enough! 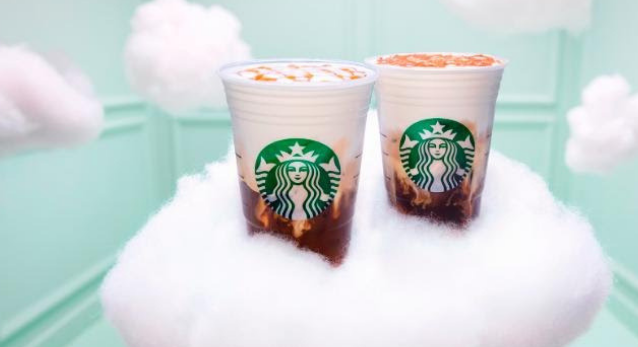 It is made with veal stock! What? This place is family owned and fantastic! My meal was made to order per my allergies! It took a little longer but I enjoyed the food and did not have a single problem. Talk about customer service! I was impressed as well as my husband; whose sister died from a peanut allergy! If the government requires food companies to label their products then why don’t restaurants have a menu listing their ingredients? Who knew Ruby Tuesday’s chicken chili was made with beef stock? Really!